Alphonse de Lamartine. Lamartine, Alphonse, lithograph by Ratier. Alphonse de Lamartine, a pioneer of the French Romantic movement, is considered one of the greatest French poets of the nineteenth century. He was also a prominent statesman who wrote a number of historical works that were popular in his day. Lamartine is now remembered as a significant figure in the history of French literature whose poetry marked the transition from the restraints of the neoclassical era to the passion and lyricism of the Romantics. Of Noble Birth. Descended from minor French nobility, Alphonse Marie Louis de Lamartine was born on October 21, 1790, in the Burgundian town of Macon, to Pierre de Lamartine and Alix des Roys de Lamartine. Seven years after Lamartine’s birth, the family moved to the nearby village of Milly, where Lamartine grew up frail and sickly. When Lamartine was eleven, his parents sent him to the Institution Puppier, a boarding school in Lyon, which he hated. He fled the school in December 1802, and his family sent him to the College des Peres de la Foi in Belley. Under the direction of former Jesuits, this school was much more to the child’s liking. There, he came to love both language and literature, including the Greek and Latin classics. Throughout his childhood, France was politically unstable, greatly affecting many French citizens. In 1789, the French Revolution began when the country’s legislative body declared itself the National Assembly. After a Paris-based mob physically imprisoned French king Louis XVI and his family, the king was deposed and later executed. Throughout the 1790s, the French people saw several governments form as well as periods of intense violence as different groups fought for control of the country. Poor Health and Wild Ways. Because of his worsening health, Lamartine left the College des Peres de la Foi in 1808 and returned to Milly, where he remained directionless. His parents refused to allow him to serve in the military or to seek a government position under self- proclaimed French emperor Napoleon Bonaparte, who had taken power in 1799 in a military coupe from the moderate, but weak, Directory (a group of five men in whom France’s executive power was constitutionally based for four years). It was not long before boredom and Lamartine’s renowned good looks got him into trouble. He incurred gambling debts, had several love affairs, and may have fathered a child out of wedlock. In 1811, his parents sent him to Italy as a distraction, but he pursued his passions for gambling and women there, as well. The stay was not entirely wasted, however, for he later turned the beauty of the Italian landscape and its women to literary account. He fell in love with a young Neapolitan servant girl named Antoniella, who eventually became the subject of Graziella; or, My First Sorrow (1852). New Direction. By this time, Napoleon had lost his grip on the vast empire he had built in the early 1800s after a failed attempt to conquer Russia. The emperor was defeated by an alliance of Russia, Prussia, Great Britain, and Sweden in early 1812. Lamartine was made mayor of Milly in May 1812 to avoid recruitment and performed administrative duties during the allied occupation of France. Following the abdication of Napoleon on April 6, 1814, Lamartine was commissioned into the Garde du Corps at Beauvais and the Tuileries. Military life was not to his liking, and he escaped during the Hundred Days (the short-lived, triumphant return of Napoleon from exile to regain control of France) to Switzerland. After Napoleon’s second abdication on June 22, 1815, Lamartine returned to France. He rejoined his regiment in Paris in August but resigned soon thereafter because of poor health. In October 1816, Lamartine went to Aix-les-Bains in Savoy to take a cure. There, he met Julie Charles, the wife of a prominent physicist. They fell in love and spent much of their time together at Lake Bourget. Charles returned to Paris, and Lamartine went back to Milly, but they promised to meet again. The promise would not be fulfilled, as Charles had become too ill to make the journey. Disappointed and lonely, Lamartine composed ‘‘The Lake,’’ one of the most famous of all Romantic poems. Marrying for Discipline. On Christmas Day 1817, Lamartine learned that Charles had died a week earlier. At this point, he began to think about marriage—not for love but to establish some order in his life. His friends introduced him to various young women, and in June 1820, he married Marianne Eliza Birch, a young Englishwoman who was from a wealthy family. The couple departed immediately for Naples, where Lamartine had been appointed to the embassy as an attache. Literary Success. Several weeks prior to the marriage, Lamartine anonymously published Poetic Meditations (1820). Its success was immediate, and it soon became widely recognized as a Romantic masterpiece. His time in Naples proved to be one of sustained creative activity, for Lamartine’s minor diplomatic duties afforded him ample time to write. In addition to several lesser-known works, Lamartine published New Poetic Meditations (1823), a collection of verse that enhanced his already substantial reputation as a poet. Upon his return to France in 1828 (then again ruled by a royalist king, Charles X), Lamartine was defeated in his bid for a seat in the national parliament. He then toured the Middle East. His recollections of this journey are preserved in A Pilgrimage to the Holy Land (1835). After leaving the Middle East in 1833, Lamartine moved to Paris, where he served as a member of the Chamber of Deputies, France’s national legislative body, until 1851. In 1836, Lamartine published his next work, Jocelyn, an Episode. The Fall of an Angel, the only other completed segment of the projected epic, appeared in 1838. Although Lamartine had been regarded previously as a deeply religious poet, both Jocelyn and The Fall of an Angel were banned by the Catholic Church, which considered the works to be against traditional faith with their suggestions in favor of rationalism and deism. From Poetry to Prose. Beginning in 1839, Lamartine abandoned poetry for prose writing. By 1847, he had completed his multivolume interpretation of the French Revolution, History of the Girondists. The work was popular with the general public, even though critics felt that it suffered from a lack of scholarship. Lamartine’s career as a statesman reached its apex in 1848 when ‘‘citizen- king’’ Louis-Philippe was ousted in a three-day revolution, and Lamartine became the president of the Second Republic’s provisional government. He proved an ineffective leader during this volatile time, and his popularity diminished to such an extent that he was soundly defeated by Louis Napoleon, the nephew of Napoleon Bonaparte, in the presidential election held later that year. By 1852, Louis Napoleon had declared himself Napoleon III and established the Second Empire. Retirement. Lamartine retired from politics in 1851 and wrote prolifically until his death in 1869 to support himself and his family. He composed a large body of prose writings, yet debt continued to burden him. In March 1860, he had to sell much of his property and move into a modest apartment in a less fashionable quarter of Paris. His wife died on May 21, 1863. Although he continued to write, Lamartine ultimately accepted, albeit begrudgingly, a pension that was proposed by Napoleon III and approved by the National Assembly on April 11, 1867. Lamartine was a bitter and sick man when he died on February 28, 1869, in the company of a few friends and his niece, Valentine de Cessiat. Charles Babbage (1791-1871): British mathematician, philosopher, and mechanical engineer, who is credited with originating the concept of a programmable computer. James Buchanan (1791-1868): The fifteenth president of the United States of America, who served in the period shortly before America's Civil War. John Keats (1795-1821): English poet, who was a central figure in the Romantic movement in literature. Percy Bysshe Shelley (1792-1822): An English Romantic poet and philosopher whose odes and shorter lyrics are often considered among the greatest in the English language. Napoleon Bonaparte (1769-1821): French military and political leader who became the emperor of the French. Frankenstein (1818), a novel by Mary Shelley. In this novel, the elements set the pace not only for nineteenth-century literature that challenges science but for the Gothic horror genre that developed after it. Intrigue and Love (1784), a play by Friedrich Schiller. In this drama, manipulation in the upper middle classes leads to disastrous ends. Lyrical Ballads (1798), a poetry collection by William Wordsworth and Samuel Taylor Coleridge. In this collaborative effort by two of the founding Romantic poets, common humanity is not only the theme but the subject. The Scarlet Letter (1850), a Romantic and Gothic novel by Nathaniel Hawthorne. In this work, Puritan values are closely examined and challenged when they come into conflict with individual values. Multiple Influences. Lamartine’s poetry was most likely inspired by his reading habits. Poetic Meditations, for example, not only spoke to the sensibility of his generation but extended the influence of Jean-Jacques Rousseau and Fran^ois-Rene de Chateaubriand into verse. Works such as Graziella (1852) and its powerful descriptive passages owed much to his responsiveness to the terrain of Italy. Other works such as The Fall of an Angel (1838) reflect his travels in the Middle East and his fascination with reincarnation and pantheism. During this time, his religious views were those of an orthodox Catholic. He affirmed the existence of an afterlife and encouraged his readers to accept divine will. Lamartine also based much poetry on the women in his life. His Graziella is based on Antoniella, with whom he had had an intimate relationship, and he took inspiration for his Poetic Meditations from his passionate affection for Julie Charles. Personal and Social Themes on Religion, Nature, and Love. In the period from 1851 to 1869, Lamartine’s interest in social change (which influenced his political efforts) permeate his works, such as Jocelyn and The Fall of an Angel. Concerned with the French workers’ quality of life, Lamartine argued for an improved standard of living and promoted honest labor, strict morality, and a return to a rural way of life. In the two sets of poems in Graziella—those inspired by Julie Charles and those addressed to Elvire, his evocation of the universal woman—Lamartine wrote of ideal love and the grief experienced at its loss. In other poems, he described his religious beliefs and emotional reaction to nature. He viewed nature as a manifestation of divine grandeur and believed that its contemplation could inspire religious faith. Similar in subject and tone to Poetic Meditations, the work New Poetic Meditations includes poems that combine religious topics and idyllic natural settings. Neoclassical Style. Lamartine was an early Romantic poet and influence, but he also wrote poetry that was characteristically separate from Romanticism. Highly decorative and elaborate, for example, his work Poetic Meditations is neoclassical in style. This is evident in his frequent use of alexandrines (lines of poetic meter in twelve syllables with distinctive characteristics such as caesuras) and, at times, in his phrasing. The poet’s experimentation with meter, rhyme, and stanza form created fresh, highly fluid effects. The best-known poems of the collection focus on his relationship with Charles and include Lamartine’s most famous single work, ‘‘The Lake.’’ In this poem, based on a boat ride with Julie Charles, Lamartine treats the ephemeral nature of life and love, writing in the highly melodious and emotional verse that epitomizes the lyrical or musical qualities of Lamartine’s poetry. Lamartine is considered to have made an impact on the French Romantic movement. Contemporaries Victor Hugo, Alfred de Musset, Charles Saint-Beuve, and many others of his time generally admitted an admiration for his poetry, even if they disagreed with his politics. Later generations of poets—such as the Parnassians and the Symbolists—might have ridiculed Lamartine’s sentimentality, but they owed a debt to his introduction of musicality into French poetry. 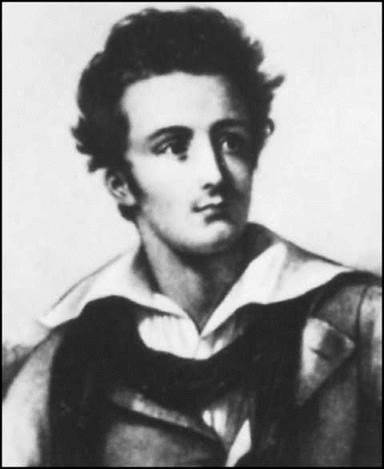 During his lifetime, Lamartine achieved a substantial reputation as a poet and prose writer. By the time of his death, his reputation had waned significantly. His prose works were seldom read, and his verse lost favor with an audience that preferred the more passionate lyrics of the late Romantics. Today, critics agree that his prose writings were marred by hasty composition and are considered of little artistic value. His poetry, however, including Lamartine’s most respected work, Poetic Meditations, is still acknowledged as important in some circles. Poetic Meditations This collection of twenty-four poems (later, twenty-six poems) became an astounding critical and popular success when it was first published and is now considered a transitional work that helped pave the way for the French Romantic movement. With both neoclassical and Romantic elements, Lamartine adopted forms common to eighteenth-century poetry and made use of the elegy and ode and themes of love and death. Reflecting the new spirit of nineteenth-century verse, Meditations also differs markedly from the emotionally restrained verse of the neoclassical era with its sincere tone, lyric enthusiasm, emotionality, and religious content. Meditations is now regarded as the first document of French Romanticism. 1. Lamartine was considered the first French writer to use Romanticism to revitalize the art of poetry. Read several of Lamartine’s poems. In small groups, discuss what you can deduce about nineteenth-century tastes, values, and desires. What was important to the men and women of the Romantic era? 2. In a group effort, consider several works of poetry, prose, and drama by the writer and find examples of Lamartine’s faith. Where in the dialogue, imagery, symbolism, or other elements is a religious theme clear? What message is suggested? 3. How are women depicted in Lamartine’s poems Graziella and Poetic Meditations? Find descriptive phrases, metaphors, or other figures of speech to support your position. 4. Imagine that you have the opportunity to talk to Lamartine. Create a chart of his literary heirs, such as Victor Hugo, William Butler Yeats, and Hart Crane, and explain to Lamartine how he influenced their writing. Araujo, Norman. In Search of Eden: Lamartine’s Symbols of Despair and Deliverance. Brookline, Mass. : Classical Folia, 1976. Bernard-Griffiths, Simone, and Christian Croisille, eds. Lamartine Re-read Today. Paris: Nizet, 1993. Birkett, Mary Ellen. Lamartine and the Poetics of Landscape. Lexington, Ky.: French Forum Monographs, 1982. Croisille, Christian, ed. The Year 1820, the Year of “Meditations.’’ Paris: Nizet, 1994. Lombard, Charles M. Lamartine. New York: Twayne, 1973. Pirazzini, Agide. The Influence of Italy on the Literary Career of Alphonse de Lamartine. New York: AMS Press, 1966.
Review of Meditations poetiques. New Monthly Magazine (October 1, 1820), 385-88. Castelli, Helen. Lamartine, Alphonse de (1790-1869). Retrieved April 25, 2008, from http://www.cats.ohiou.edu/~Chastain/ip/lamartin.htm. Last updated on October 26, 2000. The Lied and Art Song Texts Page. Author: Alphonse Marie Louis de Lamartine (1790-1869). Retrieved April 25, 2008, from http://www.recmusic.org/lieder/l/lamartine. Project Gutenberg. Lamartine, Alphonse de, 1790-1869. Retrieved April 25, 2008, from http://www.gutenberg.org/browse/authors/l#a4781.